Ali Oliver-Krueger is a teaching artist, director, actor, classical singer and writer/composer. As a teaching artist and arts education professional, Ali has worked with schools, opera companies, and arts organizations throughout the country, and is a residency artist with The Wolf Trap Institute for Early Learning through the Arts and the John F. Kennedy Center Education Department's DC Partnership Schools Initiative Community Program. Ali’s work as a teaching artist is rooted in creative drama and in creative opera, an emerging form of creative drama in which music and drama are fused together to tell stories and express thoughts, ideas and feelings. She is a frequent presenter at conferences on arts education and arts integration, and conducts professional development workshops and residencies on linking drama and music with content curricula. Ali is a proud member of the American Alliance for Theatre and Education, and is co-chair of the organization's Professional Theatre Network. She lives in Silver Spring, Maryland with her husband Peter and two fiercely fluffy dogs who are legends in their own minds. Lenore Blank Kelner is an author, educator, educational consultant, keynote speaker and teaching and theatre artist. Lenore has presented her work in all 50 states and abroad and has been a presenter with the John F. Kennedy Center for the Performing Arts for 29 years. She was a Master Artist for the Wolf Trap Institute for Early Learning through the Arts for 25 years. Lenore is the author of The Creative Classroom (15th printing) and co-authored with Rosalind Flynn, A Dramatic Approach to Reading Comprehension (Heinemann, 2006, 5th printing). Lenore was awarded the 2004 Creative Drama Award from the American Alliance for Theatre and Education. 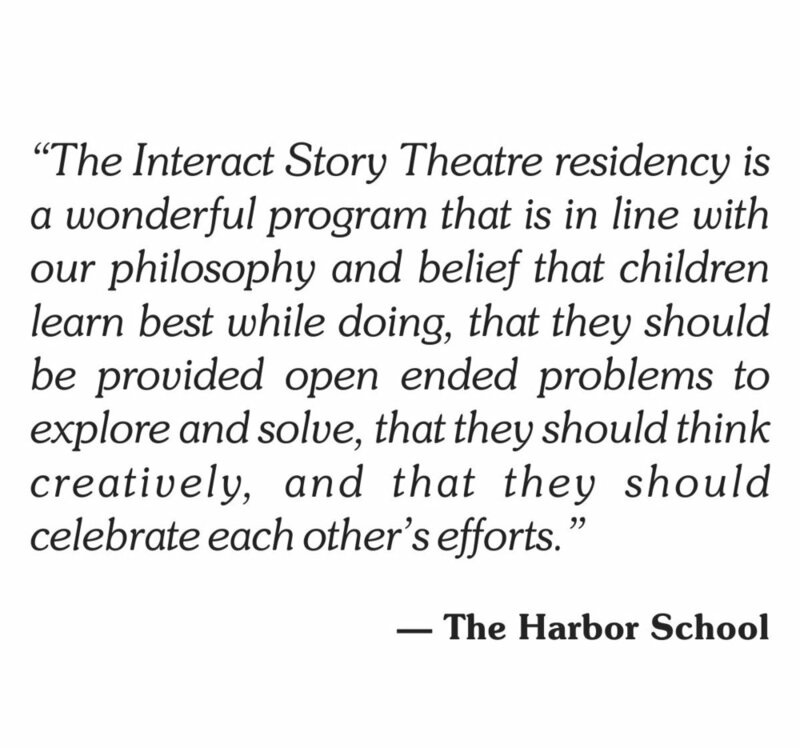 In addition to conducting staff development residencies through InterAct Story Theatre, Lenore also works widely through her own company, Lenore Blank Kelner & Company and is the Director of the Creative Kids afterschool Drama Program. Emily Townsend has worked as a teaching artist throughout the Washington metropolitan region, for organizations ranging from the Sitar Arts Center to the Shakespeare Theatre Company, where she spent a season interning in the Education Department. Also a passionate musician, she has spent the last several years singing with some of the leading symphonic choirs in the area, and has performed with world-class conductors and orchestras both in Washington and internationally. Emily has been a featured guest artist with 1928 and the New Resonance Orchestra. She completed her graduate studies at the University of Maryland, College Park in Theatre History and Performance Studies, specializing in historical Shakespearean performance. Emily currently manages and contributes to Two Hours' Traffic, a website devoted to theatrical reviews and criticism for the Washington DC region and beyond. Steve Wolf works with marketing concepts and graphic design and for the last 25+ years is a designer, photographer, and actor in the DC Metro area. Steve worked for many years with the Montgomery College Summer Dinner Theatre program training front of house customer service and providing box office and marketing support. In his spare time, he helps with website and layout for Hexagon's musical, satirical, political comedy revue and their charity work. Pete Oliver-Krueger is a master carpenter, set designer, director, actor, and classical singer ...plus a product consultant and software engineer. As Technical Director for InterAct he is tasked with constructing the traveling sets for InterAct's main stage performances, designing special effects, and overseeing anything else with a technical component. As a product consultant and software engineer he mentors startups, large organizations, and non-profits in the DC metro area, teaching them how to do more with the resources they already have. He got his start at Carnegie Mellon's Robotics Institute, and his software architectures power multiple government agencies including the FDA, NASA, and the Pentagon. He has led many high-profile teams, including the relaunch of TD Ameritrade's new online trading platform, and the first DC Metro Trip Planner. 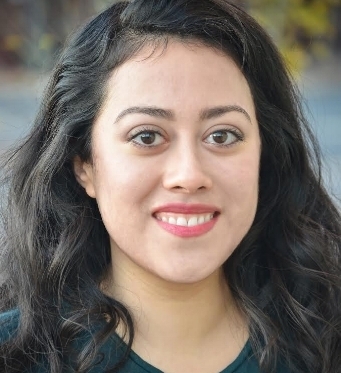 Ruth Elizabeth Diaz is a Wheaton native who is excited to be working within her community. She received an A.A. in theater performance from Montgomery College and was an active member of the department, working on and performing in countless productions. In addition to going school, Ruth also worked in the Montgomery County Recreation Department- Youth Development Program and is the current site coordinator for Excel Beyond the Bell at Col. E. Brooke Lee Middle School. Ghanian Kwame Ansah-Brew is a Master Drummer, Dancer, and Actor who has performed numerous times at the Kennedy Center for the Performing Arts and the Smithsonian Institution, the Wolf Trap National Park for the Performing Arts and other venues as well as arts festivals throughout the United States. Kwame is also the Founder and Artistic Director of the Fritete African Drum and Dance Ensemble, featuring the authentic African rhythms and dances of antiquity. Valerie Bayne Carroll has a BFA in Theater from Boston University. In addition to her work with InterAct Story Theatre, Val is a Master Artist with the Wolf Trap Institute for Early Learning through the Arts; has presented workshops for the Kennedy Center; and has taught classes for Imagination State and the arts-based Lucy School. Gwendolyn Briley-Strand is an accomplished actor with numerous stage and screen credits. She is known for her portrayals of Harriet Tubman, Sojourner Truth, and Rosa Parks. In 1991 and 1992, Gwen was invited to bring the character of Harriet Tubman to the White House for the 4th of July celebration. Gwen has been touring her one-woman show "Harriet Tubman: The Chosen One", since 1993. The Chosen One has been presented at the J.F. Kennedy Center for the Performing Arts in Washington DC, The Smithsonian National Museum of American History in Washington DC, The Sewall-Belmont House and Museum on Capitol Hill in Washington DC, The Friends of Benjamin Banneker Historical Park and Museum in Catonsville MD, Portsmouth Museum in Portsmouth VA, Colonial Williamsburg VA, and The New York State Museum in Albany NY. Harriet Tubman: The Chosen One was a featured event in the grand opening of the National Underground Railroad Freedom Center in Cincinnati, OH, August 2004. Harriet Tubman – Move or Die was received with rave reviews at The Maryland Humanities Council Chautauqua 2000 and The New Hampshire Humanities Council Chautauqua 2004. Gwen received her Bachelor of Arts in Theatre from Fordham University in New York, and is a member of the Actor's Equity Association, Screen Actors Guild, and the American Federation of Television and Radio Artist. In her native Argentina, Cecilia Esquivel studied at the National Conservatory of Music. Cecilia holds a BA in Music Performance from the University of Maryland, where she studied jazz under Ronnie Wells and Ron Elliston. She also holds an MSW degree from the Catholic University of America. In her performances and workshops, she combines her knowledge of music and social work to reach individuals with a variety of learning styles, educational challenges and emotional difficulties. As a member of Cantaré, Cecilia performs Latin American music for audiences of all ages in schools, libraries, festivals and major public venues. She also teaches workshops and residencies. In addition, Cecilia is very active in the Washington area music scene. She performs both as a soloist and with ensembles, and does studio work as a singer, arranger and recording producer. For over 10 yeas, Kelly has worked with teachers and students on adaptive movement bringing dance to all types of students. She has founded three dance programs, including the CityDance Center at Strathmore (2004) and Contradiction Dance (2007), led countless professional development workshops for educators nationwide, consulted for the DC Collaborative for the Arts and Humanities (2006-2008), and served St. Mary’s College of Maryland teaching all levels of improvisation, composition, jazz and modern dance (2006-2009). Currently, Kelly teaches beginners through professional levels of dance to students ranging from pre-school to senior citizens, including adults with disabilities. She also leads Moving Dialogues workshops to engage and empower non-dancers in the artistic process through their own writing and movement. 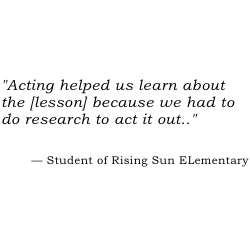 As a trainer in arts integration, she also leads workshops designed to create the next generation of master educators. Nancy Krebs started her professional acting career in 1975 with The Tender Trap at the Garland Dinner Theatre in Columbia, Maryland. From there, she was part of the ensemble that won an Emmy Award for the PBS television series, ONCE UPON A TOWN in 1976. She has performed in film, television, radio and on the stage continuously since the mid-seventies. She has worked in summer stock and regional theatre, notably at Center Stage in Baltimore and Alaska Repertory Theatre, traveling all over the state of Alaska before joining InterAct Story Theatre in 1982. Currently, in addition to being a company member of InterAct Story Theatre, she teaches voice production and musical theatre at the Baltimore School for the Arts, is a certified Lessac Instructor (voice), and runs her own studio, THE VOICEWORKS. She has served as the Vocal/Dialect coach for several professional and university productions in the Baltimore/Washington area, as well as serving as the Musical Director/Vocal Coach for all productions in the theatre department at the School for the Arts. Marian Licha is an actor/storyteller. She has performed at Arena Stage, Round House Theatre, at The Capital Fringe Festival and in New York theatres. She has performed her storytelling program “A Magical Journey into Latin America” at The Kennedy Center, The National Theatre, The Capital Children’s Museum, The Museum of American History, schools and libraries in the Washington, D.C. area. She has been a guest at the "New York’s Kids" radio show in NYC. Diane Macklin is a professional storyteller, actress, and educator. She uses storytelling as a way to break down cultural barriers and unite people of all backgrounds. Her motto is “Making a Difference, One Story at a Time.” Diane is a teller of original stories and folk tales from Africa, the Americas, and other parts of the globe. The stories she tells are centered around hope, peace, justice, and wisdom. Her background in education, Multiple Intelligences, diversity, and conflict resolution are infused into all performances, workshops, and residencies. Diane has earned a Bachelor of Arts in English from Vassar College and a Master of Arts in Teaching Middle School English (Grades 5-9) from Simmons College. She has appeared on National Public Radio and Washington Storyteller’s Theatre Speak Easy. She also works with various organizations committed to arts and education: Wolf Trap Institute for Early Learning, Imagination Stage, and InterAct Story Theatre. Alex Miletich IV, an Annapolis native, is a local actor, singer, and teaching artist in the D.C. Metro area. He is a proud graduate of the University of Maryland: College Park with a B.A. in Theatre as well as a B.A. in Government & Politics. He has worked with local companies such as Molotov Theatre Group, Chesapeake Shakespeare, Synetic Theatre, Kaiser Permanente's Educational Theatre, Faction of Fools, the Symphony Orchestra of Northern Virginia, and is a company member of Convergence Theatre. Artistic interests include vocal performance, puppetry, commedia, theatrical clown, Shakespeare, existentialism, theatre for young audiences, and engaging in social discourse through the arts. Deandriea Norman attended Frostburg State University where she studied Acting. While in school she preformed the roles of Sophie (Ruined), Hannah/Rose (A Civil War Christmas), Ensemble (Pinkalicious), and Indian/Mermaid (Peter Pan). She has been teaching drama at New Hope Academy for the past few years as well as providing private drama coaching for children. Penny Russell has worked as a writer, director and performer with the Blue Sky Puppet Theatre since 1994. She performs with Good Life Theatre, with whom she just completed a three year run at Wolf Trap, and sings with the Swing Set Trio and the Roland Cumberland Orchestra. Past performing credits include Bread and Puppet Theater, The Other Opera Company, Adventure Theatre and The Puppet Company at Glen Echo. Penny has worked as a director and performer for Seize the Day: Mixed Abilities Performance, Quest 4 Arts, Camp Jabberwocky on Martha's Vineyard, Camp Tulgey Wood on Nantucket, and the Iona Community in Scotland. In addition to teaching and performing with InterAct Story Theatre, Penny is a teaching artist with the Wolf Trap Institute for Early Learning through the Arts and with ArtsStream. Elle Marie Sullivan holds a BA in Theatre Studies from the University of Central Florida in Orlando. While in school, she focused on dramaturgy, devised theatre, and physical storytelling. Her work was seen at the Orlando Repertory Theatre and Orlando Shakespeare Theatre. In 2014 she was invited to be a guest teaching artist with Artists Striving to End Poverty in Pune, India. Tom Teasley, described in the Washington Post as “a percussionist in the widest and most exuberant sense of the word,” maintains a unique career as a solo percussionist, composer and collaborator. A 2010 and 2011 Helen Hayes Theater Award recipient for outstanding sound design, Tom tours frequently throughout the world performing and presenting clinics for the instrument companies he endorses including Yamaha, Vic Firth, Sabian, Remo, Latin Percussion and others. A three-time recipient of a Fulbright-Hayes grant for performances in the Middle East, Tom collaborated with indigenous musicians and gave historic performances in Saudi Arabia, the West Bank and Jerusalem. He has recently returned from Iraq as a cultural envoy for the U.S. State Department where he collaborated with Iraqi musicians from all over the country. He has been an artist-in-residence at the John F. Kennedy Center for the Performing Arts and has collaborated with the National Symphony as both a soloist and composer. As an international collaborator he has performed by invitation in Europe and South America. Tom earned the 2006 Artist-of-the-year award from Young Audiences of Virginia for his creative and educational presentations. His seven CDs have been greeted with international airplay and acclaim. He has been the subject of feature articles in both “Modern Drummer” and “Drum!” magazines. Rick Westerkamp is an actor/singer/dancer, teaching artist, and arts administrator. Rick has worked as a teaching artist throughout the DC metropolitan area, fat the DC JCC, the Sitar Arts Center, Round House Theatre Company, Metropolitan Ballet Theatre, and the Washington International School, and is currently the middle school drama teacher at Stone Ridge School of the Sacred Heart, where he directs/choreographs the middle school productions. As an actor, Rick has most recently performed with Adventure Theatre-MTC, Red Branch Theatre Company, and Young Playwrights' Theatre. As a dancer, Rick has danced for DancEthos, darlingdance company, Next Reflex Dance Collective, and UnevEnlane, having performed at Arena Stage, Dance Place, and the Atlas Performing Arts Center, as well as in the Chicago Fringe Festival. Rick holds a BA with honors with a double major in Dance and Theatre from The George Washington University. Kelsey Yudice recently graduated from the University of Wisconsin- Stevens Point with a BFA in Acting and minor in Sociology. She performed with Teatro Vista in their Educational Outreach Program's production of "Romeo and Juliet" for Chicago area schools, worked with the Children's Theater of Madison, and trained at Second City. Besides children's theatre, Kelsey's theatrical interests include movement, stage combat, Shakespeare, teaching, and directing. Kelsey just recently moved to the D.C. Metro Area from Chicago. James Morogiello is a recent graduate from Franklin & Marshall College in Lancaster, PA with a BA in Theatre. James is an actor/singer and arts administrator who has worked with Best Medicine Rep in Gaithersburg, MD, NCC Summer Theatre in Bethlehem, PA, and the London Dramatic Academy. While in school, he ran a student run musical theatre group called F&M Players that would produce multiple musical theatre shows per school year. Nell Quinn-Gibney is an actor, playwright, and director in the Baltimore/DC area. She graduated in 2017 from the University of Maryland, Baltimore County with a BFA in Acting. She has performed with Baltimore Shakespeare Factory, The Strand, and The Rainbow Theatre Project. She has also directed with Silver Spring Stage and written for Rapid Lemon Productions. With the rest of her time, she works with the Murder Mystery Co. and the Princess Party Co. at American Immersion Theatre.